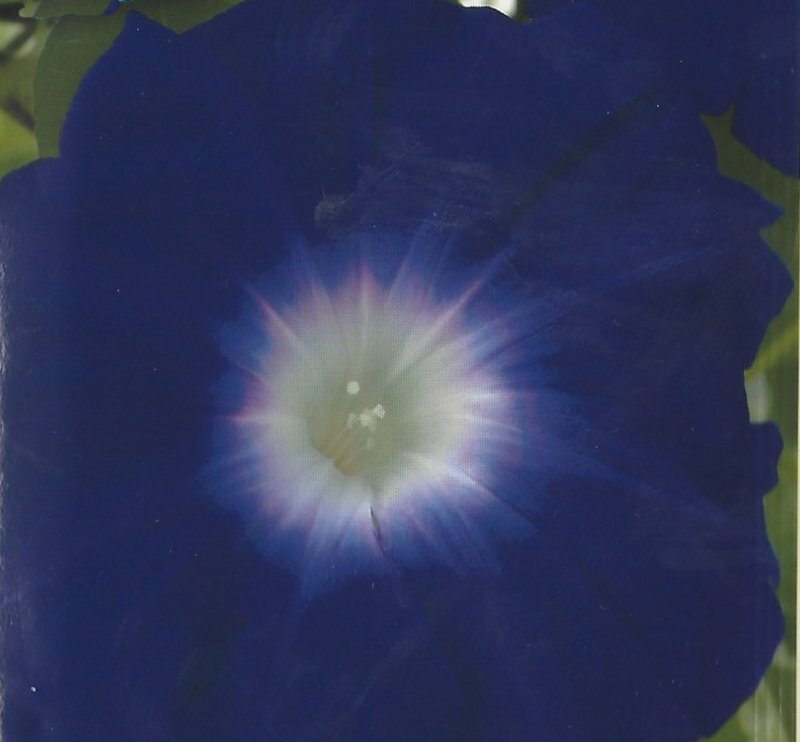 JAPANESE MORNING GLORY SEEDS of the variety ''Yoi no Tsuki'' , Deep Purple, large blooms, (Ipomoea nil). 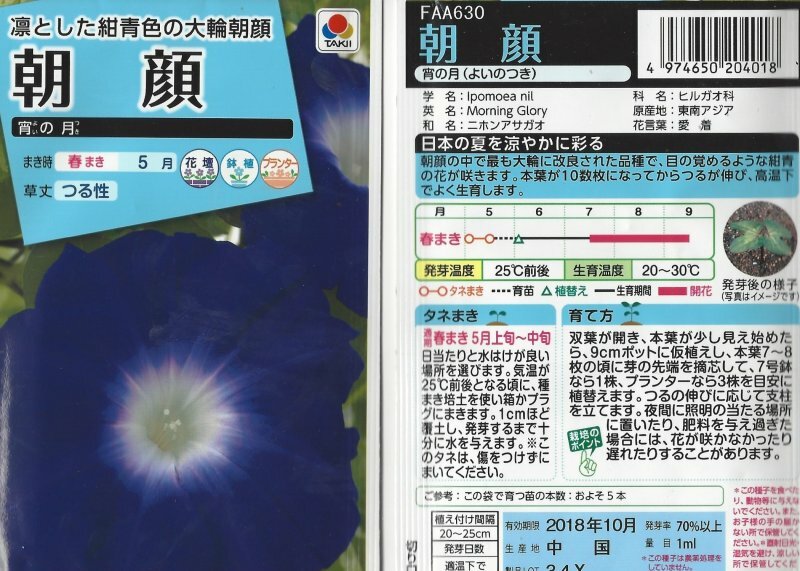 These seeds are IN THE ORIGINAL SEED PACKAGE FROM THE TAKII COMPANY IN JAPAN. Large, deep solid purple (almost black) blooms with white centers - stunning! These are large bloomed Japanese Morning glories - with RICH, SOLID, DEEP PURPLE (ALMOST BLACK) blooms surrounding a white throat. Really STUNNING! I have only a limited supply of these seeds - don't miss out on them!